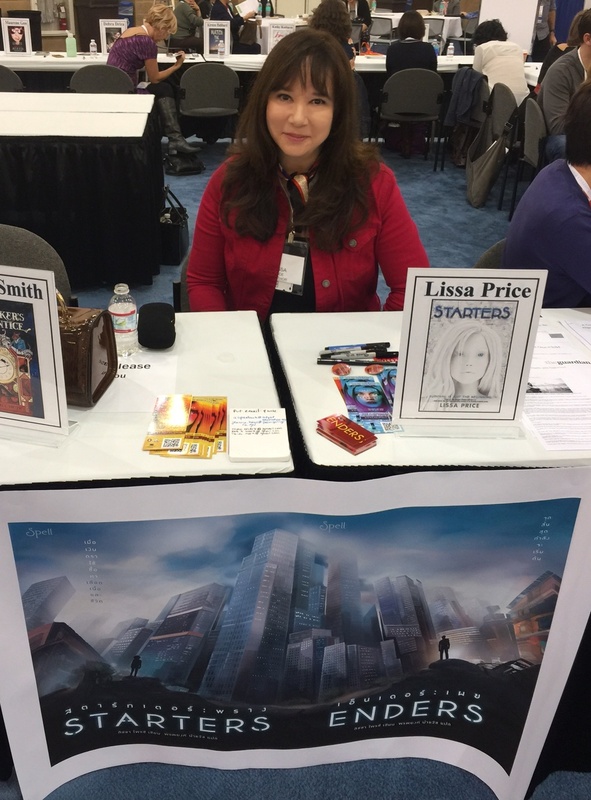 I enjoyed meeting librarians and seeing my fellow YA and MG authors at the CLA signing last week. I was sitting next to two terrific writers, Sherri Smith and Catherine Linka. The poster below me is the Thai version of Starters next to Enders in the poster. Don’t you love those covers? They just published in Thailand.